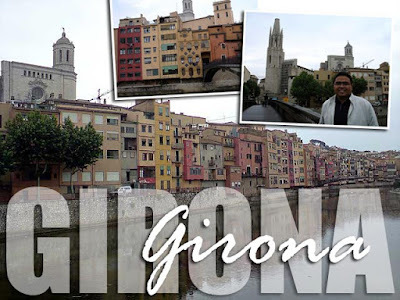 On the way back from Figueres, we made a stopover in Girona, a charming old town along the Onyar River. One of it's imposing landmarks is the Catedral de Santa Maria Mare de Déu said to have the widest Gothic nave in the world at 22.98 m (75.39 ft), and the second widest nave after the St. Peter's Basilica in Rome. Sad to say, we didn't go inside. It just irks me when they charge an entrance fee to visit a church. It was a pity we only had an hour to explore the city. Add to the fact that it was raining. And since we arrived during siesta, shops were closed and there was nothing much to see. But it was a well-preserved old town, very much worth the visit.